Browse these employment resources to start telecommuting from Texas. Unfortunately, when it comes to working at home, geography does matter. Sure, it's possible to find a telecommuting job at a company based in another state, but a large number of companies with work-at-home jobs want their employees close by. Fortunately for those who live in Texas, there are a lot of major companies there that hire, or eventually allow employees to become, telecommuters. Call centers are a good work-at-home opportunity for those with customer service experience. And Texas has a lot of them! The positions may be for employees or independent contractors. Read more about home call center jobs in the Call Center FAQ, then browse the companies on this list of Texas work-at-home call centers. These companies are on my list of more than 200 work-at-home companies, but the profiles give more information about the hiring process, salary, and requirements of the jobs. Airline hires home-based jobs reservation agents living within 75 miles of Fort Worth, TX. Ten weeks of onsite training is required. When available, positions can be found by searching the company's jobs database using "home" as the keyword. Pay starts at $9.50. Hotel chain hires call center agents to work at home in customer care and reservations. New hires receive in-depth brand and technical training and support. Bilingual in Spanish or Portuguese earns $1 per hour more in some positions. Hired through Starwood's Austin customer contact center, these work-at-home jobs are only for those living in Austin's 512 area code. Starwood @Home associates must attend four weeks of training. Starwood provides a company computer, keyboard, mouse, headset, designated phone, and company software, but associates pay for monthly phone and Internet provider charges. Pay is $9/hour plus incentives. Note: Starwood's job search page seems to work best in Internet Explorer. Based in Plano, TX, this company hires RNs in the Dallas-Fort Worth area to work at home in after-hours telephone triage. Requirements include 3-5 years in pediatrics, licensure in Texas, carrying malpractice insurance and drug test. Weekends and evenings are required but part- and full-time schedules are available. 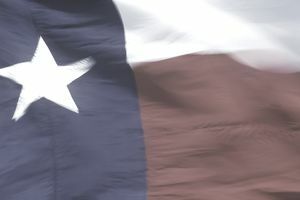 Work in Texas - This employment listing resource from the state of Texas can be sorted using keywords such as "telecommute" or "remote" but keep in mind these may bring up jobs that say "no telecommuting." Fortune 500 Companies - At least one of these large employers in Texas--AT&T--are on my Top Telecommute Friendly Company list, and many others have telework options for Texans. Global Work-at-Home Jobs - These companies hire worldwide and so, of course, that includes Texas.